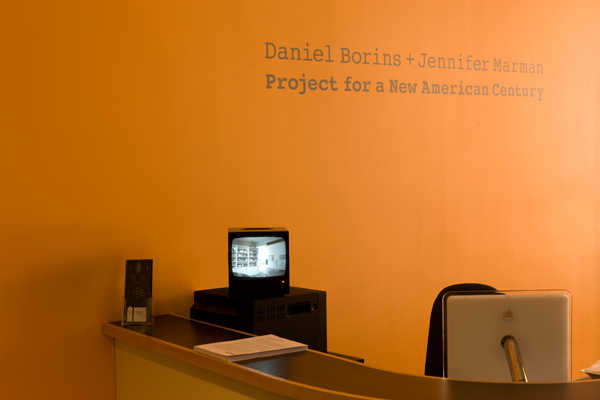 Project for a New American Century is a “what if” scenario that in part has its source in a little-known historical event. 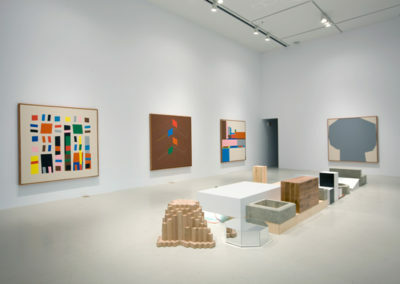 During the Spanish Civil War, anti-Franco anarchists operated prisons using “psychotechnic” torture in the form of “coloured cells” based on the principles of abstract and surrealist painting. 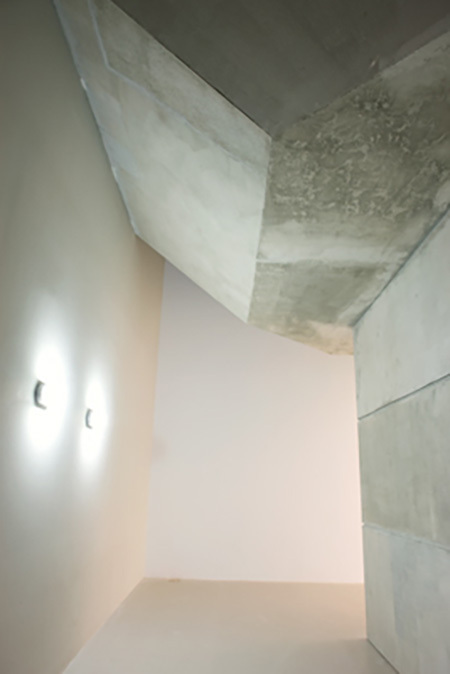 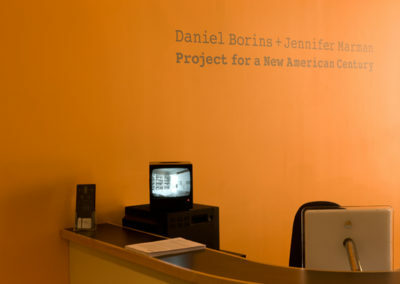 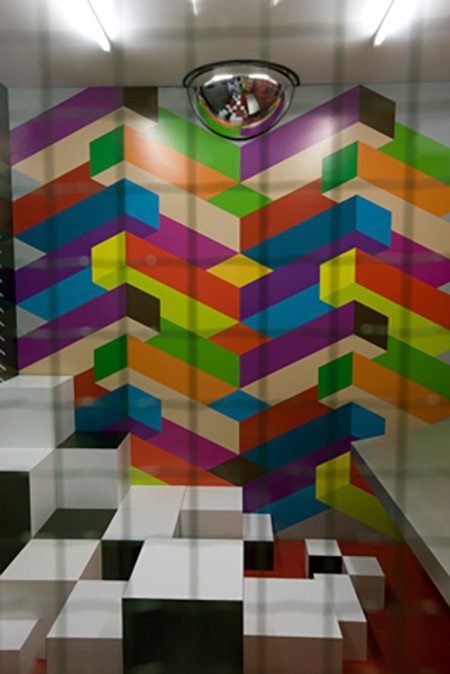 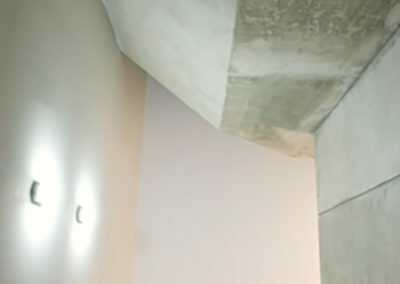 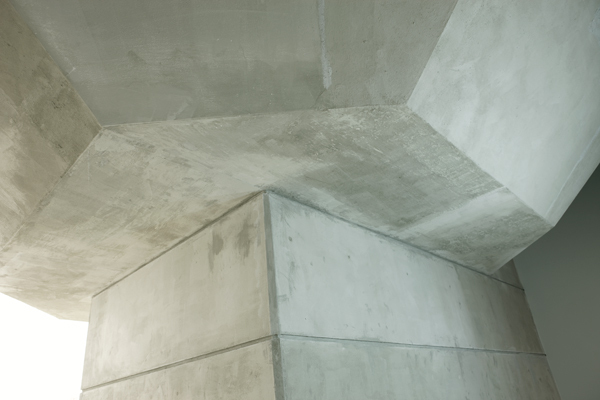 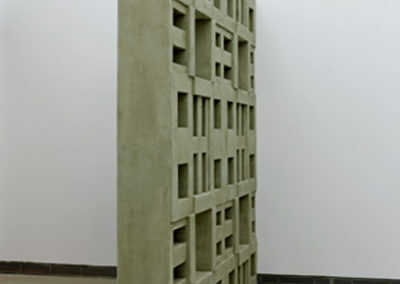 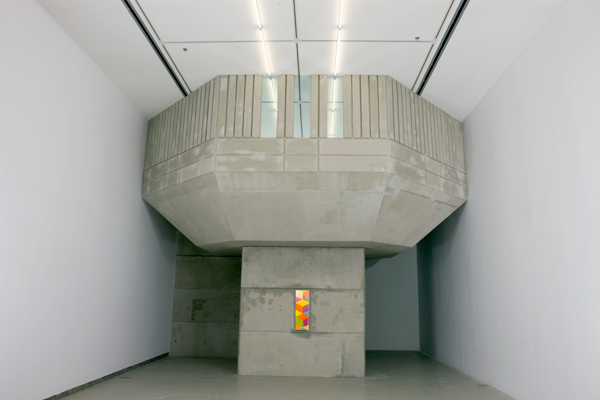 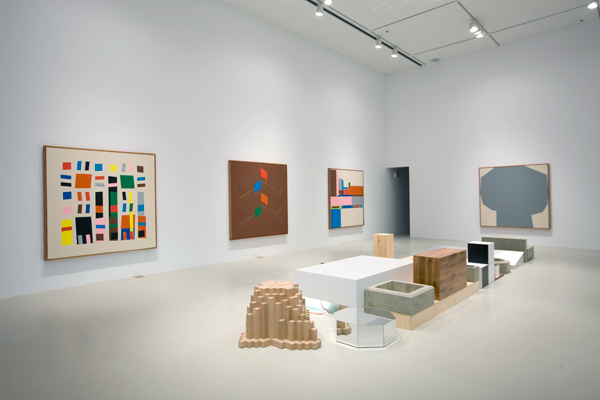 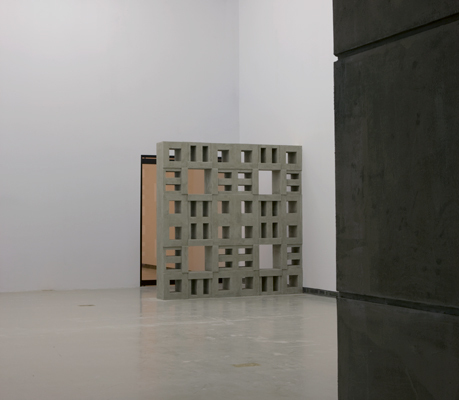 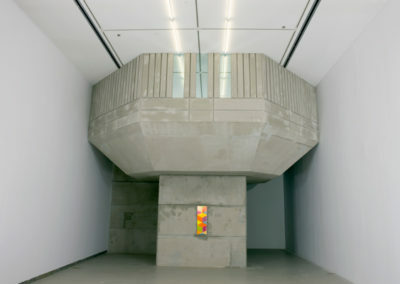 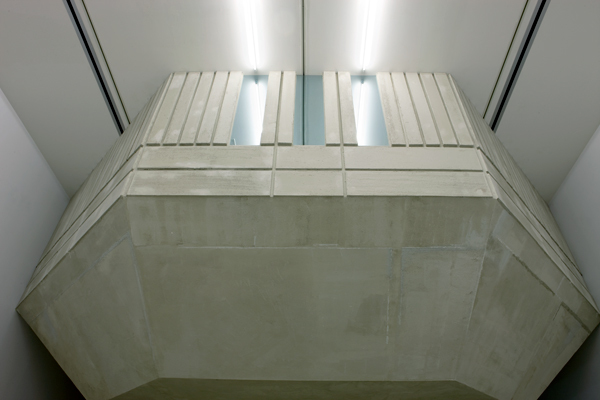 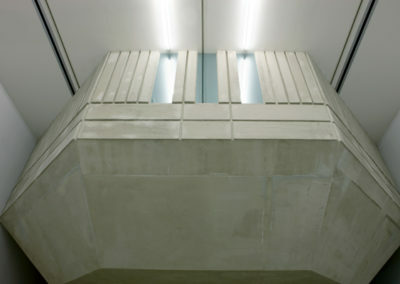 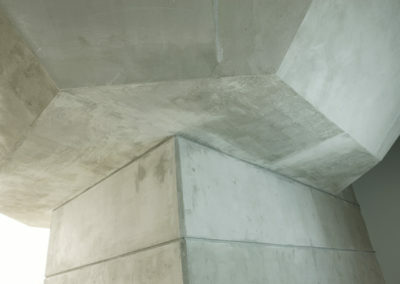 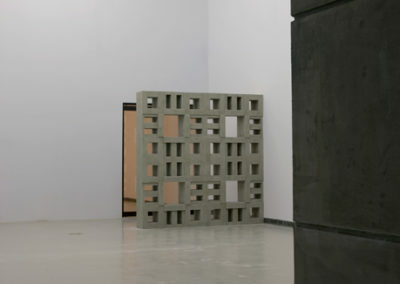 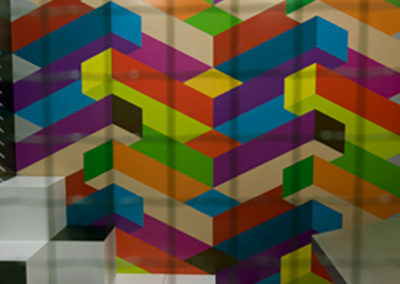 In reference to this history, the Toronto collaborative team of Daniel Borins and Jennifer Marman have created an installation combining architecture, painting, and sculpture, building a monolithic prison-like enclosure in the gallery but updating it with reference to utopian brutalist architecture from the 1950s and 1960s (such as York University’s Ross Building) and op art painting. 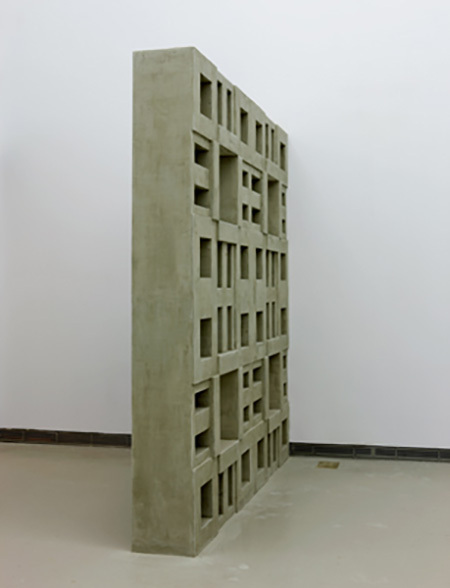 Having established a historical conjecture in the first gallery with this aggressive architectural intrusion, the artists play out the aesthetic possibilities or consequences of this proposition with a series of paintings and sculpture in the second gallery.